CloudLIMS Standard is a user friendly, web based sample management solution, essential for any laboratory wanting to automate their systems in a secure and reliable environment. Cost effective due to monthly subscription without commitment. Adaptable software to optimise for particular business requirements. Cons have never been cons for long as the CloudLIMS team have constantly worked hard to overcome any issue and upgraded the software to fit our Clinical Trials environment. Colibri Scientific have a requirement to track a wide range of sample types, including monitoring transport between clinic and laboratory. The facility to provide clients with a login enable 'live' visibility as soon as a patient sample is taken has significantly reduced project manager input for reconciliation queries. The CloudLIMS team have been amazing at adapting this software to meet our individual needs and can highly recommend as a tracking solution for multi centre Clinical Trials. "Reliable replacement for our server based LIMS"
This system has been used by a number of our Biobanks, through the university Biorepository administrative structure, during the past two years. During this time we have not experienced any lapses in access and data integrity has been maintained. The security complies with regulatory requirements and auditing information is adequately retained. 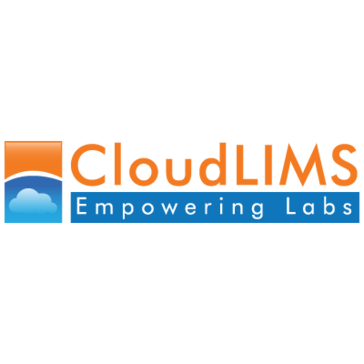 We find that the CloudLIMS system is relatively easy to use once steps are explained by the developers. Occasionally updates to the LIMS mean that mapping settings saved for upload fields have to be reentered and saved again. We are able to easily upload data and keep records reliably on the cloud. What LIMS solution do you use? cloudIMS is very adaptable to your specific needs and the customer support is excellent too. "A LIMS with great customer services and affordable price "
CloudLIMS lacks flexibility from the client's point, and most of the time have to request the LIMS vendor to configure the desired features and then wait till the work is done from the vendor's point. MS Bioanalytical (MSB) is a testing laboratory providing analytical testing services to nutrition supplement, cosmetics, food and pharmaceutical industries. We are currently using CloudLIMS to generate a complete workflow, such as tracing samples/tests, , managing inventory, and running reports. "Most affordable full featured sample management tool on the market"
BioTracer is very affordable while still being easy to use, has a large number of features, and company provides great support. After using BioTracer for about two years now, I have not encountered any negative aspects to the software. Our decision to implement BioTracer was validated when our lab was able to quickly turn around samples. With our operations streamlined, we have significantly improved our ability to provide our clients with more timely testing results. I'd say BioTracer is the most affordable full featured sample management tool on the market with data backups, hosting, loading of existing data and technical support all built into the product price. The CloudLIMS.com team has done a great job! "It was a really good experience, got to know new things what I wasn't aware of." There was nothing to dislike, engineer have put much in making it. Basically management of online resources is what i am doing. * We monitor all CloudLIMS reviews to prevent fraudulent reviews and keep review quality high. We do not post reviews by company employees or direct competitors. Validated reviews require the user to submit a screenshot of the product containing their user ID, in order to verify a user is an actual user of the product. Hi there! Are you looking to implement a solution like CloudLIMS?